Recently I've been wanting to experiment building websites with Ruby, but without using Rails. I've built a few small Sinatra applications, but I really miss having those basic MVC tools that Rails provides. It's amazing how much easier things are when you have some nice routing and controller helpers. This led me to trying out Padrino, and I have to say it's looking quite interesting. Although the Padrino website does have a build-your-own-blog tutorial, it is using ActiveRecord and the HAML view template language. It's not that I dislike either of these, but I did want try some other tools, such as DataMapper and straight up ERB for the views. As I couldn't find any good tutorials out there I decided to use that Padrino tutorial as inspiration for my own post. Hopefully you will find it useful. I will be borrowing heavily from the original Blog Tutorial, so if you're happy enough using ActiveRecord and HAML, then please do go read that. Okay, enough of the introductions, let's get stuck in. At the time of writing this will install v0.12.4. For more details on installation please take a look at the official installation guide. Once this has finished installing, you'll have all the necessary dependencies and we can begin building our Sample Blog. Like with Rails, the easiest way to create a new project is via the Padrino generator. This will generate a skeleton application with all the appropriate files needed to build our application. Padrino is an agnostic framework and supports using a variety of different view template languages, testing frameworks, database components, and so on. You can learn more about generators in the Padrino generators guide. Now that we're in the root or our application let's take a closer look at a few of the more important files and directories, before we continue. Gemfile – include necessary GEM dependencies for your app here. app/app.rb – the core application configuration. config/apps.rb – defines which applications will be mounted. config/database.rb – connection settings for your chosen database adapter. app/controllers – define your application routes here. app/helpers – your application helper methods. app/views – controllers will look here for view templates to render. lib – put extensions, libraries or other code for your project here. spec – your application tests. This will create admin as a sub-application within your project, which will be mounted at boot by config/apps.rb. When you run rake db:seed you will be prompted to enter an email and password. Be sure to remember these otherwise you won't be able to log in to the admin panel! Read more about the dashboard in the Admin Panel Guide. Since Padrino 0.10.0, all generated models are placed at the top level directory of the project in a models directory. This seems a bit odd to me so if you wish, you can move the admin models to live under the root admin directory before continuing. It is however, not required. 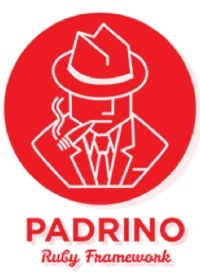 erb "<p>This is a sample blog created to demonstrate how Padrino works!</p>"
Be sure to check out the Padrino controllers guide for a comprehensive overview of the routing system. At this point you're ready to view your new website! Open your web browser and visit the URL; http://localhost:3000. If all is well then you should see the homepage message; Hello World!. You can jump into the admin panel by going to the URL; http://localhost:3000/admin. You'll need to log in with the admin credentials you specified during the rake db:seed command performed earlier. Feel free to explore this area and checkout the existing accounts. We'll come back to this in more detail later. Worth noting here is that Padrino has full support for code reloading in development mode. This means you can keep the Padrino server running and any time you change your source code, you can just refresh the browser and all changes will be automatically displayed. You might want to open up a new terminal and cd to your directory and keep the server running. To read more about terminal commands, take a look at the Development and Terminal Commands guide. So far so good, but this isn't going to be much of a blog without any blog posts. Let's implement the functionality to write and view posts! This defines routes that can be accessed via our application. The "http method" get starts off the declaration followed by a symbol representing the "action". Inside the block we store an instance variable fetching the necessary objects and then render an ERB view template. This should look quite familiar to anyone coming from Rails or Sinatra. Note: make sure to use padrino g admin_page after the creation of your model and their migration. If your server is running (padrino start) then go to the admin panel http://localhost:3000/admin and login using your credentials as set previously. You should now see two tabs; one for Posts and the other for Accounts. Click on the Posts link. Go ahead, write some posts! Now we have a few posts in the system we can visit our :index route. Visit the http://localhost:3000/posts URL and voila! All your wonderful posts! This can be helpful in understanding the mapping between controllers and URLs. So far a post is not associated to any particular user, this might be okay for some, but if you wish to have others write for your blog then we need to let every post have an author. Let's revisit our Post model. We'll start by adding a new migration to attach an Account to a Post. We also need to give the Post model an association with the Account, and while we're there, let's add a couple of Post validations. Our post model now has appropriate associations and validations. We also need to go inside the Admin Panel and make some changes so that the account (using current_account) is saved when a new post is created. If you create a bunch of posts as another user (create new users in the Admin Panel...and don't forget to log in as them! ), then you'll be able to see which posts were written by which user. Things are going well, but navigating our site is annoying and it certainly won't be winning any beauty contests. Let's fix that. We're going to create a site-wide template, called a "layout", which acts as a container for the content templates yielded by each route. This will be used to create a consistent structure between each page of the application, giving us a navigation menu and a sidebar on every page. Refresh and bask in the glory of your brand new theme! The official Padrino Blog Tutorial also covers how to deploy your application to Heroku, so if you need help then I recommend you go read that guide. There should be enough here for you to forge on and expand the functionality to include many more blogging features. I may even write some follow up tutorials, such as how to generate RSS feeds, implement a commenting system, and perhaps even how to protect your blog from comment spammers by using Wordpress' Akismet. Keep your eyes peeled!